What's not to love about well-made affordable smartphones with a distinct feature that's not only marketable but adds character too? We don't mind aggressively priced either. 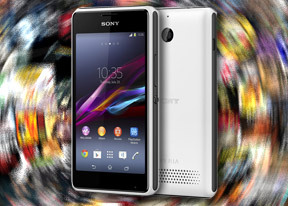 Which the Sony Xperia E1 clearly is. It's built to a budget, but not a lazy copy-paste job of which we've seen enough in the low end. The Sony Xperia E1 has a no-nonsense kind of hard-plastic finish that may feel a bit rough to the touch, but doesn't collect fingerprints and feels extra sturdy. The 4" LCD display isn't anything special, but its WVGA resolution strikes a good balance between image quality and strain on the GPU. 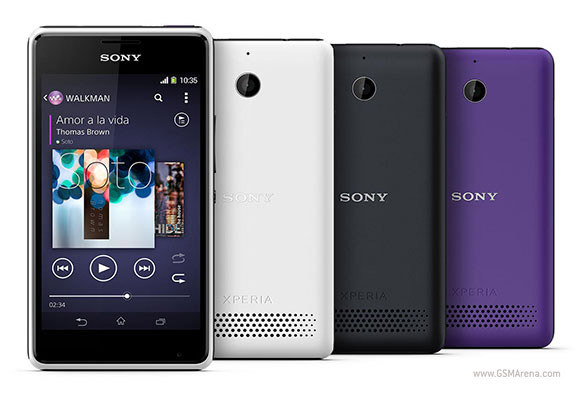 Speaking of which, the Xperia E1 is powered by a Snapdragon 200 chipset with a dual-core Cortex-A7 CPU, Adreno 302 and 512MB of RAM. It's probably the latter that accounts for the less than stellar benchmark results. The actual performance however, and we mean app-loading times and general responsiveness, is more than decent. We hope KitKat will eventually speed things up a little more. It's clear that the music department got some special attention. The Xperia E1 can surely make some noise with the xLOUD on and the overall audio quality is quite good. The Walkman button at the top is a cool addition, putting your local collection and online music a click away. The 3MP fixed-focus camera is the same as on the last generation and probably the weak point of a device clearly targeted at a young audience. It's basic, slow and doesn't shoot 720p videos. What Sony did well to upgrade is the battery of the Xperia E1. The 1750mAh LI-Ion unit performed admirably in our dedicated test. It gets even better results in STAMINA mode, but that hurts performance as it downclocks the CPU. OK, having broken down the package to its parts, time to look at the competition. HTC seems to have given up on truly compact smartphones, their recent entry-level droids starting at 4.3" of screen diagonal. That may actually make sense, considering the growing demand for screen real estate and the fact that even HTC's budget offerings are usually not cheap. The 4.3" Desire 300 packs a 5MP camera, but falls short of 720p videos. The chipset is an old dual-core Snapdragon S4 Play and that's not ideal for a primary phone. 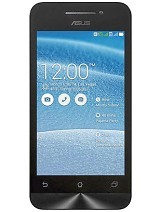 Yet another rival from Taiwan is the ASUS ZenPhone 4. Priced at $99 (likely €89 in Europe), this 115gram droid packs a 4" WVGA display, 1.2GHz dual-core CPU on 1GB of RAM and a 5MP still camera. It's reasonably good looking too, but the 1200mAh battery could potentially spell trouble. And finding one at your local retailer can be tricky. 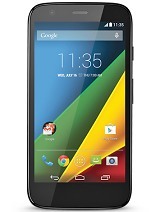 Talking about affordable smartphones, the Motorola Moto G is one of the hottest deals . It's been making a splash all over the world with its solid build, good looks and, of course, price. Its 4.5" 720p display is in an entirely different category but, if you can have it for the same price or just a bit extra, it's definitely the phone to have. That is, if you can live with the very limited user-available storage and no expansion options. Nokia's first Android smartphones, the Nokia X and X+ are almost identical, sporting a 4" WVGA screen each, the latter taking advantage of 768MB of RAM against 512MB, which is also what the Xperia E1 has. The chipset is slower on the Nokia offerings though, and the heavily customized Android UI may not be to everyone's liking, but it's really simple to use and the Nokia X isn't too shabby on the outside either. Nokia has of course the Lumia 525 on offer too. The Windows Phone running phone packs a 5MP camera with 1GB of RAM and a 4" WVGA IPS display. It's the successor of the bestselling Lumia 520, and intends to keep things this way. If it has to be a droid though, and affordable at that, the Sony Xperia E1 should be at or near the top of your shortlist. It's good-looking, decently quick and with solid battery backup. A strong contender in the low-end shouldn't be a surprise coming from the Japanese, a few generations in a row now. And if anyone somehow hasn't noticed so far, Sony has Walkman once again to get their attention.